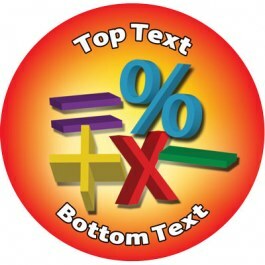 ProfBlog - Make Maths Fun with Personalised Stickers! Make Maths Fun with Personalised Stickers! Did you dread maths lessons? Did the thought of having to learn your times tables or long division fill you with fear? Unfortunately many children today still experience this fear of ‘numbers’. Maths continues to be one of those lessons that fill children with dread. But as parents and teachers know it is imperative that children get a good grounding in Maths when they are young as it will help them in a number of ways in the future. Indeed research has proven that a child’s confidence and ability in Maths by the end of primary school can pretty much dictate their future success with this subject. So, how do we make Maths fun? Regardless of how adept a child is at Maths the temptation of a reward is always a reason to try harder. It also gives them a sense of satisfaction when they get it right, so imagine the extra thrill of receiving a personalised Maths reward sticker from their teacher, Personalised Stickers. The promise of a reward at the end of a task is enough to get any child motivated and learning. 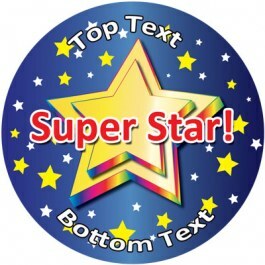 Personalised stickers are a great reward for children as they are specific to what they have achieved ‘Mr Ben says I’m a Maths Star’ is so much more powerful than a generic message sticker. This simple level of personalisation means that the child knows Mr Ben recognises his effort and it gives him a personal sense of achievement. As an alternative to awarding children directly some teachers may like to introduce a reward system such as a chart which can be reviewed at the end of every week. The results could be counted and that child can receive a reward for the overall effort that they have put in. Personalised stickers shouldn’t just be given for correct answers otherwise those who are good at Maths will flourish and those who are intimidated by the subject will continue to be so. We suggest rewarding children for effort, showing good working out even if the answer is wrong or volunteering answers even though they maybe unsure. Crack their fear and up their confidence and usually ability follows. Personalised stickers can work for all subjects, but as we all know, for some nothing is more dreaded than maths, so let’s make learning it fun! Personalise your stickers today! 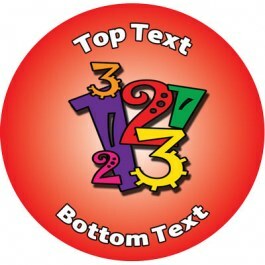 Classroom Capers have an ever increasing range of subject based stickers and if you can’t see what you need, they’ll create a design free of charge. Visit our pages of personalised stickers to view the current collection.